Wage regulations are some of the most important protections for employees who enter labor contracts with corporations. Japan’s wage requirements hold employers accountable for providing transparent wage determination and dissemination practices; however, there are multiple wage systems that can accommodate any businesses’ needs. 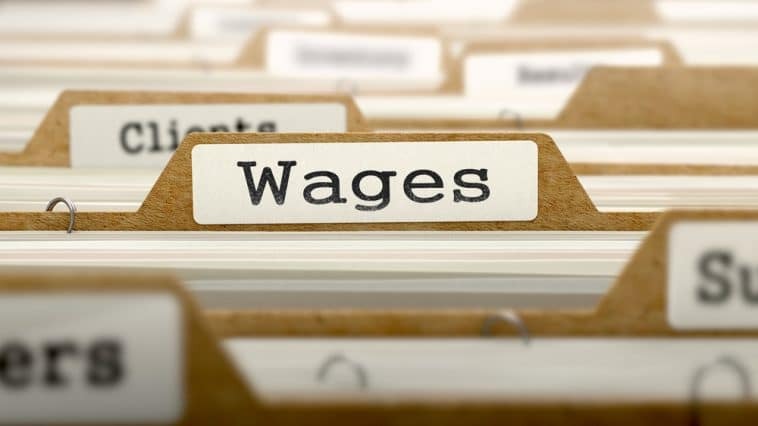 Wage is any payment from an employer to the employee that includes salaries, allowances and bonuses as set by Article 11 of the Labor Standard Law. The Japanese wage system still relies in many ways on the period of employment within a given company. Other factors that might influence the wage are the level of education and sometimes the employee’s age. Recently the Government of Japan revised the Labor Laws and suggested to set payments based on productivity and results instead of time spent at work. in currency. Payments and wages cannot be substituted by items, services or other benefits. directly to the employee in legal tender to an account provided by the employee. in full. Wages cannot be partially postponed (see next point). However, an employer can deduct all the necessary payments, e.g. taxes and insurance, from the salary as stipulated by the law. at least once a month. While wages can be paid more often in accordance with the agreement, they cannot be accumulated and paid in bigger sums at longer intervals. The part of a salary cannot be postponed until the next payday (see the point above). on a fixed date. Payments cannot be late, postponed or shifted to the next payday. The main law regulating the minimum wages in Japan is the Minimum Wages Act. It is important to remember that minimum wages can be determined in accordance with two categories: regional minimum wages and special minimum wages for a specific industry. The regional minimums are decided separately for each area. Industry rates can be set for certain business types or professions after the interested parties apply for settlement of such special ages. In its turn, the industry-specific wages also have two categories: region-specific industry wages and a nationwide specific minimum wages. The laws do not specify any numerical sum that would apply to everybody. However, the payment of the minimum wage is guaranteed to every employee within their area or employment category. The minimum amounts in each category are revised every year in October by the Ministry of Health, Labour and Welfare after consulting the Minimum Wage Deliberation Commission. The later comprises of employers, employees and a public. The minimum wages are calculated on a per hour basis. The standard working schedule is 40 hours a week, 8 hours per day. If the employee meets two different criteria for minimum wages, the employee is entitled to receive the higher one. A breakdown of minimum wages by region can be found on JETRO. Remember that the minimum wage is a pure sum that you get for your work stripped off all possible bonuses and allowances. If you receive, for example, money to cover your commuting or lunch expenses from your employer this amount cannot be considered a part of your minimum allowance. Full attendance allowance, commuting allowance, and family allowance. If you think that you are might be receiving wages that are lower than a minimum standard for your region or profession first try to talk the situation with your company. If that does not help, you can address the labour inspectorate of the trade/labour union. An employer may be fined with up to 500,000 Yen for not paying a minimum wage to an employee. Companies switching to annual pay structure, although there is no benefit for the practice under Japanese labor law. If a company in Japan introduces a yearly wage system, it typically only covers management-level employees. It is extremely hard to dismiss an employee in Japan. The law provides strong protection for employees. If a company wants to let go of a certain person without bringing the case to the court, the employer will usually make a one-time payment offer calculated according to factors including length of service and reason for leaving. This payment is not subject to social insurance contributions and is given favorable treatment for tax purposes as opposed to regular pay. Under certain conditions, enterprises that contribute to government reserves, financial, or similar institutions can recognize these payments as expenses. Japan’s regulations on wages are straightforward: pay employees directly, adhere to minimum wage laws, pay no less than once a month, and be prepared to compete with wage rates from other regions when recruiting a talent. There are multiple wage structure options that help maintain the balance between employee and employer interests. If you’re looking to maximize opportunities to have wage requirements work in favor of your company, then choose a wage system option that focuses on bonuses. What is the main document regulating my wages? It is the labor contract you conclude with the employer. It contains all the details on different kinds of payments, including overwork, dangerous conditions, etc. More information on labor contracts can be found from our guide. What kind of deductions from the salary there are? The key deduction is a withholding tax or an income tax, that is being taken from one’s monthly salary. More details about this deduction in our guide. Do the working conditions influence my salary? Yes, they do. Dangerous conditions, heavy works, increased hours and alike influence your wages. In the majority of cases, employees are subject to compensations for such conditions. You can learn more about it from our guide on recruitment. Do holidays and vacations influence my salary? National days off, holidays and weekends are a part of a wage plan. They will not deduct anything from your salary. More about regulations on working schedule in our special guide. How my wages are influencing my pension? The amount of pension is calculated based on one’s salary, thus it has direct influence. You can learn more about this meter from our pension and insurance guide.